Built in A.D. 794 on the model of the capitals of ancient China, Kyoto was the imperial capital of Japan from its foundation until the middle of the 19th century. 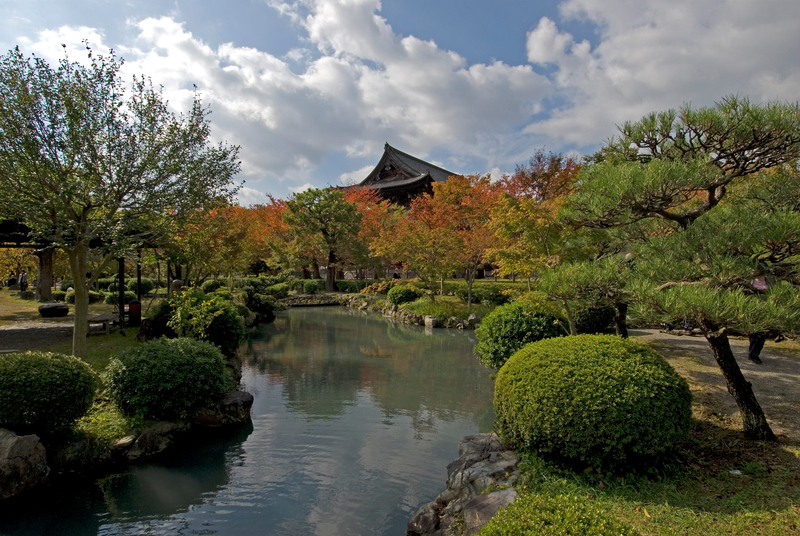 As the center of Japanese culture for more than 1,000 years, Kyoto illustrates the development of Japanese wooden architecture, particularly religious architecture, and the art of Japanese gardens, which has influenced landscape gardening the world over. If you can only visit one place in Japan, the place to visit is Kyoto. The former imperial capital of Japan, there are seventeen different temples, shrines and buildings in the Kyoto area which are included in the World Heritage property and that technically doesn’t include the former Imperial Palace (which is still owned and run by the Japanese royal family) or the Fushimi Inari Shrine. I’d suggest spending at least three days in Kyoto as the attractions are rather spread out and Kyoto is a large city. There are many other, smaller buildings of historical note throughout the city which might be worth visiting. Kyoto has a subway, so getting around is pretty easy. 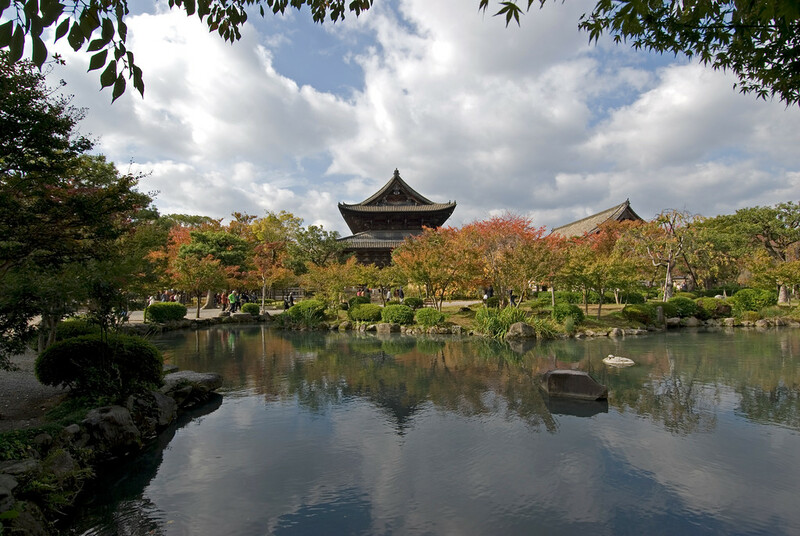 The ancient monuments of Kyoto are popular worldwide as tourist attractions. In fact, these monuments are among some of Japan’s top tourist destinations. There are plenty of sightseeing spots in Kyoto with the many structures and temples within this property that was also inscribed into the UNESCO World Heritage Sites list. The ancient monuments included in this listing consist of 13 temples, 3 shrines, and 2 castles. Aside from the architectural masterpieces like the temples and castles, the garden scenery and the stone garden are also included within the UNESCO property. Both the architecture and the garden design represent the culture of the Japanese tradition through architecture and art form. Kamowakeikazuchi Shrine: This Shinto sanctuary was founded in the 7th century along the banks of the Kamo River in northern Kyoto. It is one of Japan’s oldest Shinto shrines and was built in dedication for the veneration of Kamo Wake-ikazuchi. It served as the object of imperial patronage during the Heian period. Kamomioya Shrine: This is another Shinto shrine that was included in the UNESCO World Heritage Site properly listing in ancient Kyoto. This is the term of a significant Shinto sanctuary within the Shimogamo district of Kyoto. It was built in the 6th century to protect Kyoto from malign influences. Kyoogokoku-ji: This Buddhist temple is one of the important monuments in Kyoto that was once built as a temple to protect its residents. It was established during the early Heian period. It was only of only three Buddhist temples that existed in the capital at that time. Kiyomizu-dera: Located in eastern Kyoto, this is an independent Buddhist temple. It was also included in the list of finalists of the New7Wonders of the World. This temple was also founded during the early Heian period, just like many other monuments in the list. Enryaku-ji: This Tendai Buddhist temple was founded in the 8th century by Saicho. It is built on Mount Hiei in Otsu, Japan with an overlooking view of Kyoto. It was Saicho who introduced the Tendai sect to Japan from Chin. Eventually, this monastery became one of Japan’s most significant monasteries. Daigo-ji: This Shingon Buddhist temple is located in Fushimi-ku in Kyoto, Japan. It was founded in late 9th century in devotion to Yakushi. The temple itself consists of 18 structures that are also designated National Treasures of Japan. Ninna-ji: This is the head temple of the Omuro School for the Shingon sect of Buddhism. It was founded by Emperor Uda in the 9th century. Emperor Koko first ordered the construction of this temple as he wanted to use it to propagate Buddhist teachings. However, he died before it was completed so Emperor Uda saw through the completion of the temple. Byodo-in: This Buddhist temple is located in Kyoto Prefecture that was constructed during the late Heian period. This temple is a joint use for the Tendai-shu and Jodo-shu sects. The temple was completed in 1052. An admission fee of 600 yen is required to gain access to the complex grounds that include the main temple building, gardens, and museum. Ujigami Shrine: This Shinto shrine was built to serve as a guardian shrine for Byodo-in, which is located nearby. It was founded in the 11th century in dedication to Emperor Ojin, as well as his sons Uji no Wakiiratsuko, and Emperor Nintoku. Using digital dendrochronology, researchers were able to determine that this is the oldest Shinto shrine in Japan. Kozan-ji: This is another Buddhist temple from the Omuro sect in Kyoto. It was Shingon scholar and monk Myoe who founded this temple. Today, it is renowned as an important cultural site and its national treasures. In fact, you will find Choju-jinbutsu-giga, which is a group of ink paintings that were made during the 12th and 13th centuries, within the temple. These paintings are considered as important national treasures of Japan. Saiho-ji: This Rinzai Zen Buddhist temple is located in the Nishikyo Ward of Kyoto, Japan. The temple is known for its moss garden that is commonly known as Koke-dera, which literally translates to “moss temple”. The temple was initially constructed to honor Amitabha and was completed sometime between 729 to 749. Tenryu-ji: This temple is the main temple of the Tenryu branch of the Rinzai Zen Buddhism in Kyoto. In 1339, Ashikaga Takauji founded this temple to venerate Gautama Buddha and the first chief priest, Muso Soseki. Six years later, the temple was completed and has been held in high esteem throughout its existence. It is also the top site within Kyoto’s Five Mountain System. Rokuon-ji: This Zen Buddhist temple is one of Japan’s most iconic buildings. In fact, several tourists visit this temple annually. Aside from being one of the historic monuments inscribed into the UNESCO World Heritage Sites list in Kyoto, it is also designated as both National Special Historic Site and National Special Landscape. Jisho-ji: Also known as the “Temple of Shining Mercy”, this Zen temple best represents the Higashiyama culture during the Muromachi period in Kyoto, Japan. 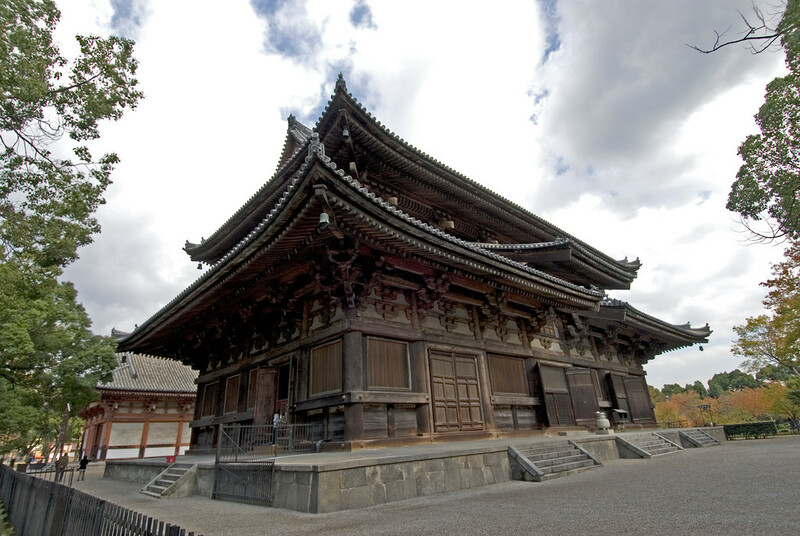 The temple was completed in 1490 through the initiative of its founder, Ashikaga Yoshimasa. The main temple structure consists of two story and the overall design aims to emulate the golden Kinkaku-ji. Ryoan-Ji: This is another temple in Kyoto that was created for the Rinzai Zen Buddhism. Aside from the Temple of the Dragon at Peace, the Ryoan-ji Garden is another important feature on the site. The garden design exhibits a refined Japanese style garden with distinctive large rock formations arranged with a sweep of small pebbles. This design is believed to facilitate meditation. Nishi Hongan-ji: This is one of two temple complexes of Jodo Shinshu. It is the Western Temple of the Original Vow. The other one is Eastern Temple of the Original Vow (Higashi Honganji). It once served as the school of Pure Land Buddhism; today, this part of the temple complex is used by the Jodo Shinshu as its head temple. 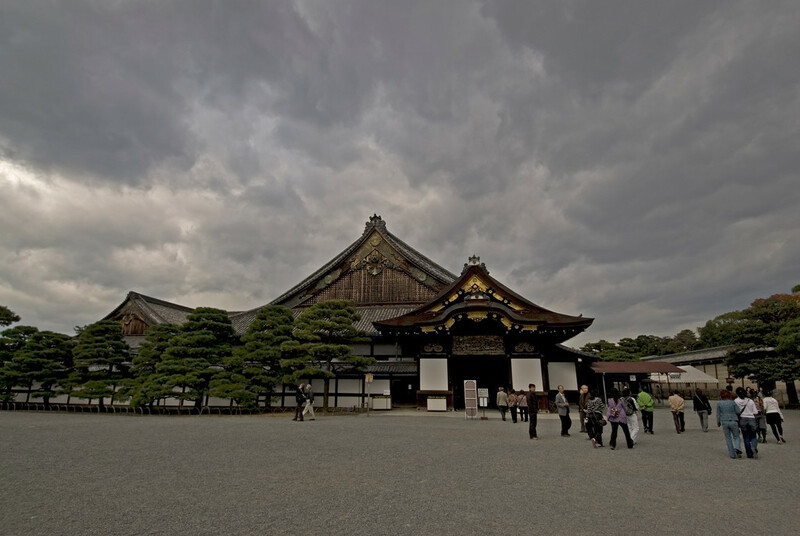 Nijo Castle: This flatland castle in Kyoto is composed of various other important structures around it. These structures include two concentric rings of fortifications, Honmaru Palace ruins, the Ninomaru Palace and a few other supporting buildings. There are also several gardens around this castle. The entire area covered by the castle measures at 275,000 square meters. Japan remains a fascinating place for so many reasons. It’s amazing how an island can dominate a region economically for so many years based on ideas and innovation instead of natural resources. Kyoto is a delightful place that we’ve been able to visit several times. Three day’s time is barely adequate, particularly if nearby Nara is included. Each time I’m there I’m again grateful that the historians and preservationists were able to prevail on the U.S. military leaders to leave Kyoto untouched and un-bombed during WWII. So, unlike many historical places in Germany, Kyoto and Nara survived the war intact. That’s one stunning garden, the Japanese know their stuff.